Glamorous vector girls illustrations pack. Four different glamorous cartoon models with different cosmetic products for your design projects. 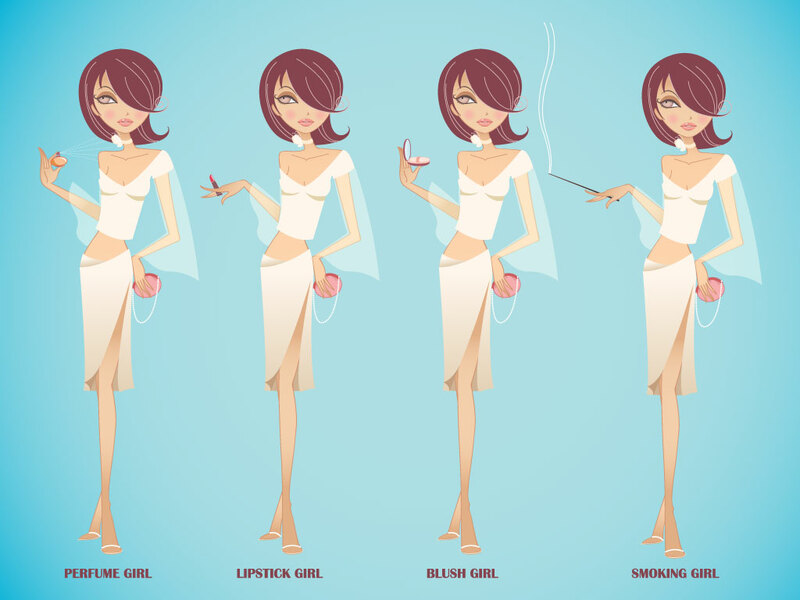 Free vector set includes a fragrance girl spraying a perfume, a model with lipstick, blush girl and an elegant woman holding a long cigarette. Tags: Cartoons, Cosmetics, Elegance, Fashion, Girl, Lifestyle, Make Up, Style, Women.